We all get the heebie-jeebies when we see a tick crawling up our legs. The feeling is worse when one is embedded in our skin. People call Modern Pest Services expressing how they’re scared to step foot in their own yards. No one should have to worry about being outside on their own property. Deer ticks are common in Maine, New Hampshire, and Massachusetts. 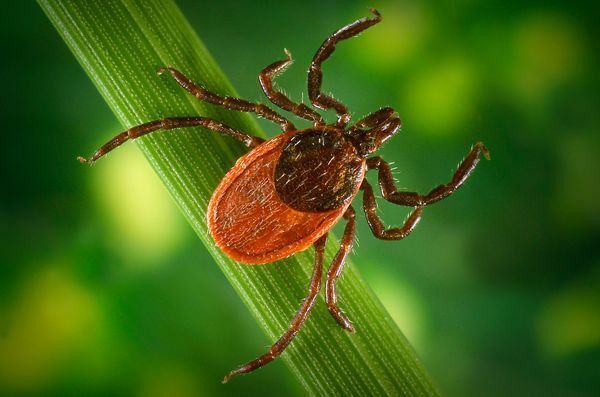 Dog ticks are also around, but the deer tick is the carrier of Lyme disease, which is why we do everything in our power to keep them out of our yards and off our bodies. Got Ticks? Modern Pest Services has the solution – GUARANTEED! Learn more about our Tick & Mosquito Control that is proven to effectively reduce both tick and mosquito populations. The deer tick’s life cycle occurs over the span of a year. 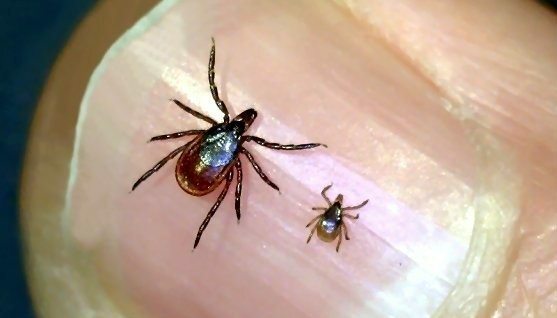 Beginning in March and throughout April, adult ticks are laying their eggs. Several weeks later, the larvae emerge and must feed in order to molt into nymphs. The larvae will feed on small mammals like mice. After the larvae have had their first meal, they will molt into nymphs. The nymphal stage is the most significant to people. Deer tick nymphs are very small (the size of the tip of your pen or a fine flake of black pepper) and are more likely to feed on larger mammals like dogs and humans. In the fall, the nymph deer ticks molt into adults and prepare to reproduce to start the cycle over again. Tick treatments begin in the spring, but before your yard is sprayed, a tick drag is commonly done. This is to get an idea of how serious the tick population is in your yard. They’re done with a white, porous strip of fabric, like a bed sheet, that is dragged across the grass, usually next to tall grass and tree lines. Ticks hold on to vegetation and extend their arms out to grab onto whatever walks by. Therefore, when the sheet comes into contact with a deer tick, they instinctively grab hold. After the tick drag, a liquid is then sprayed around the perimeter of your yard. This acts as a barrier, killing any deer ticks that come into contact with it. Deer tick treatments should begin in the spring since this is when females are laying their eggs. Wait until after the snow has melted and the ground has dried- usually in May. Otherwise, a perimeter yard treatment would be ineffective. It’s also important to treat your yard throughout the summer and in the fall, especially since this is when the nymphs molt into adults and are getting ready to reproduce. The idea is to treat the ticks before they lay their eggs to reduce the chance of a tick explosion next spring. The good news is you don’t have to wait till ticks are rampant to sign up for Tick and Mosquito control. Give yourself peace of mind now and sign up today! Modern will schedule out your first service for after the snow melts and the ground has dried. You won’t have to try to remember to call and get it set up later. Every season brings a new threat from pests. Be prepared. Contact Modern Pest Services for a FREE QUOTE, ask a question or schedule a service. Or call today! 1-888-997-3312.